Never before has a collection of this magnitude been released. 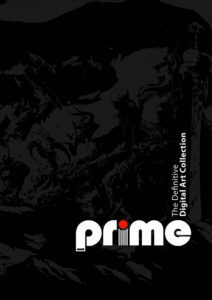 Prime brings together over 400 top quality pieces in one easily accessible set of books, for your immediate viewing pleasure. Wherever your artistic tastes lie, the tantalizing mix of fantastical creatures, humorous caricatures, sweeping landscapes and fascinating characters on offer in Prime is guaranteed to capture your imagination and leave you with a timeless source of inspiration that you can return to again and again.